The first blizzard has hit Ann Arbor and the holidays are upon us. This Thursday while some people are enjoying large feasts, watching football or spending time with family, others are lining up outside to get doorbuster deals at various big chain stores. 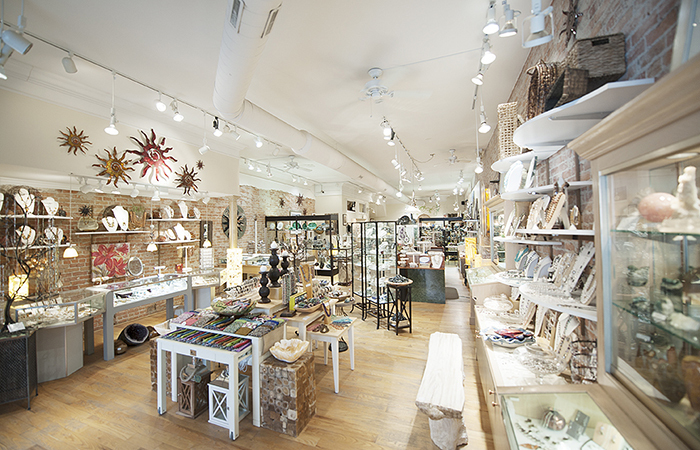 Downtown Ann Arbor is full of local specialty stores with amazing gifts that everyone on your list will enjoy. 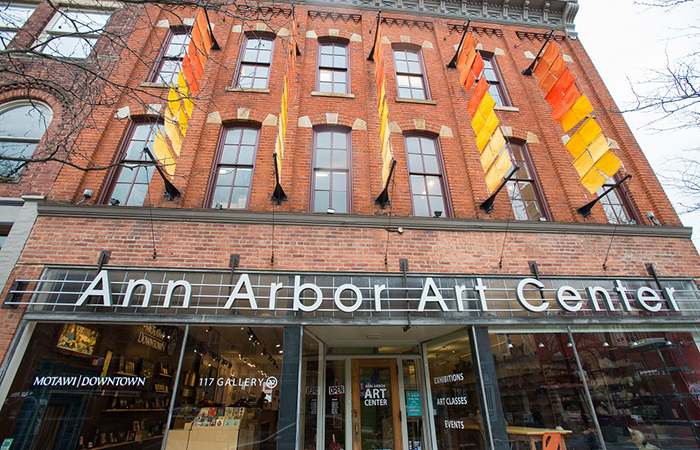 Whether you’re buying for an avid reader, an art aficionado or good old Mom and Dad, the unique stores of Ann Arbor have got you covered. There are several places to shop for your book loving friend or family downtown. 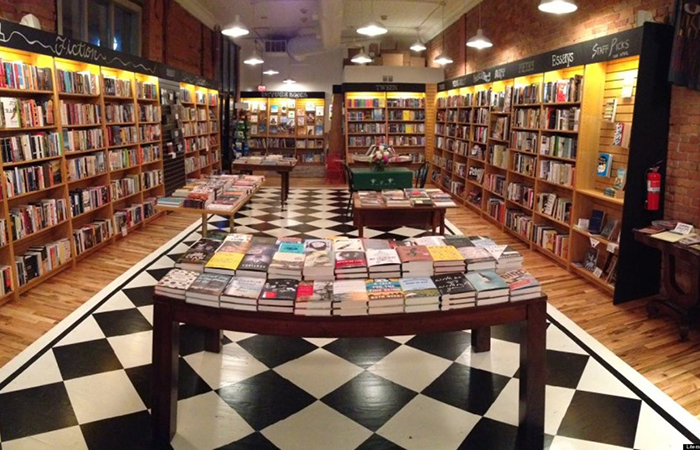 Literati has been an Ann Arbor favorite for two years now and offers a wide selection of books from genre to genre. Maybe you’re looking for a certain comic book or graphic novel? Then Vault of Midnight is the place for you. Offering comics from big publishers like Marvel and DC all the way to small independents, VoM is sure to have the perfect gift for someone on your list. One of the main things Ann Arbor is known for is its wide array of restaurants downtown. The styles of food you can get change drastically from street corner to street corner. Is someone on your list a foodie or craft beer drinker? Then a Main Street Association gift card is just for them. These gift cards are accepted at all of these participating restaurants and bars downtown. While Ann Arbor is famous for its food scene, it’s mainly famous for being home to the University of Michigan. 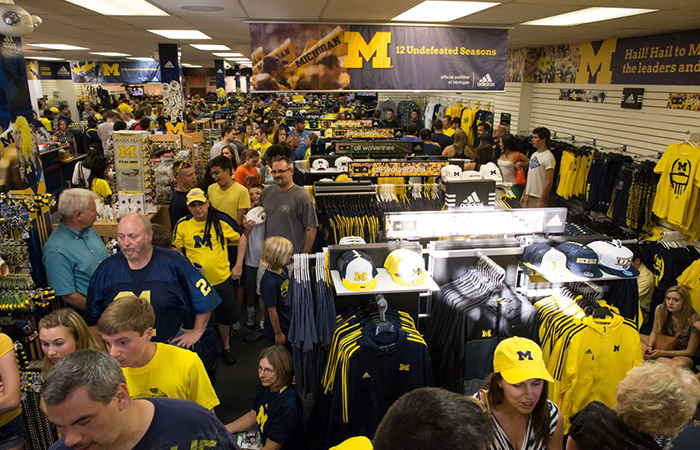 If you have a wolverine fan on your Christmas list, there is one place you need to go, The M-Den. U of M cups, mugs, bags, hats, shirts, pants, etc. can all be found at the M-Den. #goblue. Is there a special someone on your list you’re shopping for? Maybe you want to impress them with a really nice set of earrings or a new necklace? Four Directions off of South Main Street offers a wide selection of hand crafted jewelry. Each piece is one of a kind, so your special someone will never have to worry about wearing the same thing as someone else. The Ann Arbor Art Center has been a leading innovator and driver for the artistic movement in Ann Arbor for over 100 years. Their “for sale” gallery changes often so it’s best to shop early if you’re thinking about picking up a piece for one of your friends or family. Another great store to look for art of all forms is Rock, Paper, Scissors. Their greeting cards are truly unique and often hysterical, perfect to attach to any gift you’re giving this year. In addition to their cards they offer a selection of….well everything that you could use around the house. If you want to be everyone’s favorite Santa this year, make sure you shop local and head downtown. Have you picked up a gift at a store downtown that we didn’t mention above? Let us know in the comment section below! Good heaven’s, so many left out!!! Peaceable Kingdom is a mandatory stop every year! From stocking stufferes to beautiful jewelry and unique gifts!! Kerrytown counts as downtown too!!! Between Found and Heavely Metal, you can find something for everyone! And then stop at Dogma Catmandoo for the pets! And on your way back to town, swing by Downtown Home & Garden! You can get clothes, presents for the house and kids and of course….ornaments and some Zingerman’s treats to finish up your night!!! There are almost an endless supply of place to get killer gifts in Ann Arbor! 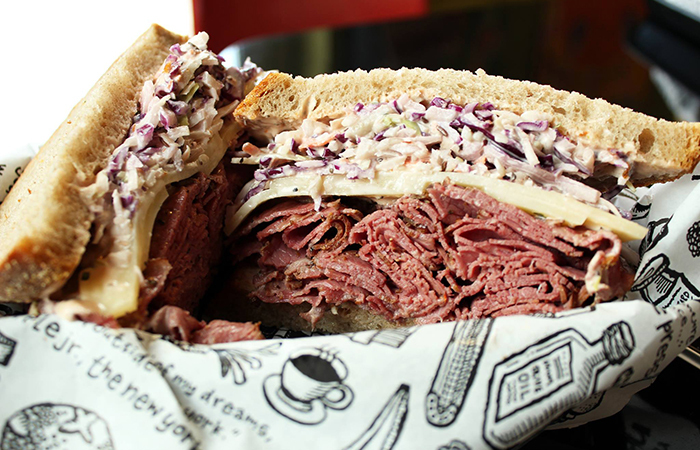 Think I might pick up some Zingerman’s treats for myself during all of the shopping Linda!